You deserve effective marketing that works! Looking for small business marketing strategies that work? Well, you’ve come to the right place! New small businesses often lack the resources required to develop great marketing campaigns. Especially when you’re just starting out as an entrepreneur, money can be really tight. 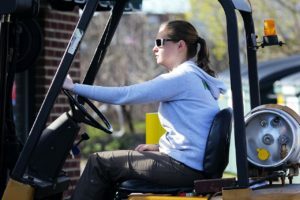 Large organizations like Microsoft or Walmart often test new ideas because they’ve got the cash to do so. But most small businesses can’t afford those kinds of investments. So they usually wait until the big boys (and girls) have tested marketing strategies before they adopt them. Of course, this doesn’t always work well because, by the time they start, it’s often a little too late. That’s why we’ve put together our top 5 low-budget small business marketing strategies that work. Marketing is not a one-size-fits-all. The goal of marketing is to connect you with potential customers. It’s a simple concept but becomes really difficult and time-consuming when you don’t know your audience. What do they like doing? What’re their potential job roles? As long as you know who you’re targeting or your customer base, then the following strategies can help you form a strong marketing plan. A good way to boost sales is to offer your expertise for free. This doesn’t mean that you need to offer your entire services or product line for free. That would be bad for business. Eben Pagan, a fellow marketer, calls this “moving the free line”. The idea is to offer something for free that doesn’t cost your business money but it may cost you time. We’ve all heard of the old saying that “time is money”. However, I challenge you to think differently and in this case, time is also marketing! By offering some of your expertise for free, you can reach your target audience faster. This will go a long way in boosting your credibility as an expert. Plus you’ll be adding a great deal of value to your business. For example, you can offer free training classes to an industry that uses your products or share expert tips in your field freely. This will make it easy for people to associate your business to what you do. You or your organization will be recognized as one of the authorities in your industry. Networking events are great for meeting other entrepreneurs. So keep expanding your network of potential customers and contacts. You want to get in front of other businesses because business owners are people too and if they need what you offer, they might buy from you. Every time you meet someone new, it’s an opportunity to connect, so treat them well. The key to success in networking is to be genuinely interested in the other person. When you’re genuinely interested in the other person, the other person will become interested in you. This is when you should tell them about what you do and how you may be able to work with them. Social media is a strong force for marketing, especially for small businesses. With new technological advancements and the wide penetration of smartphones, most of the world is on social media. According to Pew Research Center’s social networking fact sheet, as of January 2014, 74% of online adults use social networking sites. Today this number should be much more. There are many social media platforms that you can use to reach your target market. For example, you may choose to use Twitter, Facebook, Tumblr or Pinterest. By sending the right messages on these platforms, you can spread your brand message quickly. Invest the time necessary to build a solid social media presence and amplify your business. The Internet is a hot spot for inexpensive marketing but you’re going to need a website. Every business needs a professional website and even if you think that your business doesn’t, chances are high that it does. To drive traffic to your website organically, you can learn about search engine optimization or higher an expert. Email marketing is also another great way to market your products online. But be careful with email marketing and don’t overuse it. You don’t want to be the company that sends irrelevant or too many emails. That’s just going to invite people to unsubscribe from your mailing list. Set aside some of the profit that you make and use it for community work. You can give to the community by sponsoring your favorite local sports team or offering your services for free to not-for-profit organizations. It doesn’t have to be a sports team but you get the point. You may also be thinking, but isn’t it a little dishonest? Nope, this isn’t a scheme but rather a good show of corporate responsibility. By giving back to your community, you’ll increase brand awareness in the process. Also, people will be more willing to do business with you because of it. These are low-budget small business marketing strategies that work. However, there are many more marketing strategies to choose from. Remember that marketing is not absolute and when you understand your business, including your target customers, you can market it effectively. Helping you attract more customers to your business or start one! 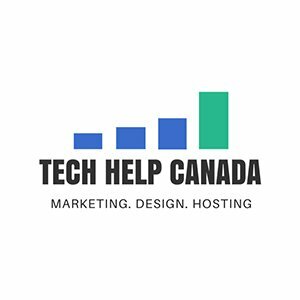 Tech Help Canada is a digital marketing agency, providing essential services that help you THRIVE online. You can learn more about our services here. This site contains affiliate links, meaning, if you click through and make a purchase or sign up for a program, we may earn a commission. This is at no additional cost to you.